If you’ve been following this blog you know that I like making entremets (for all you newbies, entremets are multi-layered mousse-based cakes). Well, I made another one. 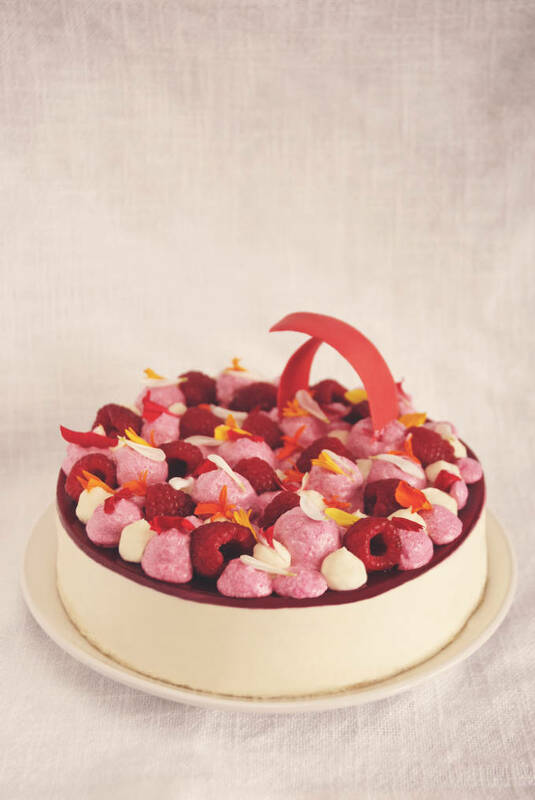 This is a raspberry and white chocolate entremet with almond dacquoise, white chocolate mousse, raspberry gel, raspberry mousse, whipped white chocolate and coconut ganache, fresh raspberries, and edible flowers. Hi, it’s me. You might remember me (Ilan), you might not. It’s been a while… seems like forever, really. But I’m back! Well, I’ve never actually been gone (from Twitter, at least). I’ve been spending the time working on a new project that I briefly discussed in my last post, and which I’ll talk more about in a future post. 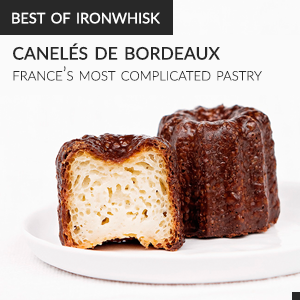 With all the time that I’ve been investing in it, there hasn’t been much left for IronWhisk. But now I’ve finished my first year of university! That means I have all summer to share lots of great food with you. 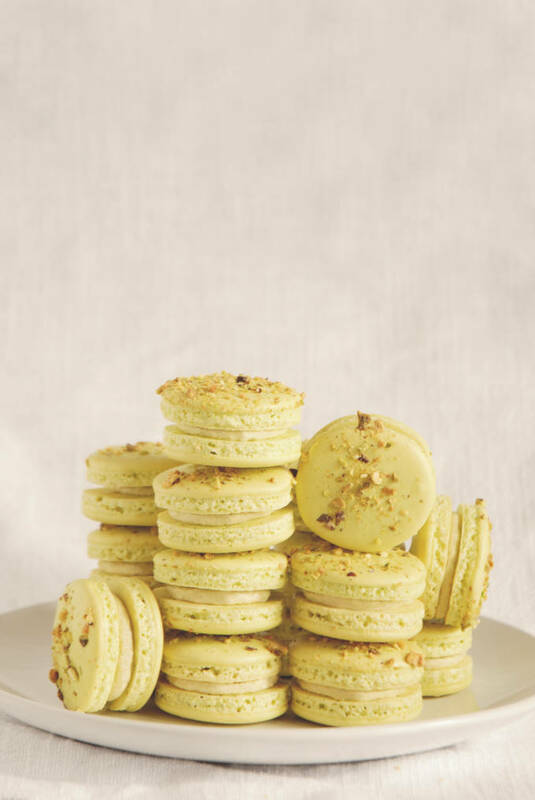 First up though, I want to talk about “macaron myths”. 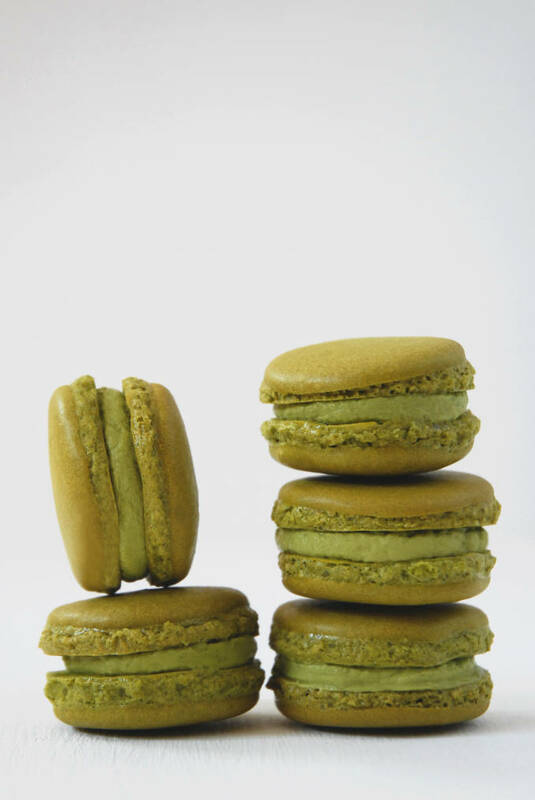 Matcha, if you have never heard of it before, is a strikingly coloured green tea powder from Japan. Unlike most teas, which you can prepare by soaking a teabag in water, matcha is meant to be stirred in and dissolved in the water. Matcha is a little bit like hot chocolate mix, except much greener and without the taste of hot chocolate. I guess the only similarity really is that both powders are soluble in water.